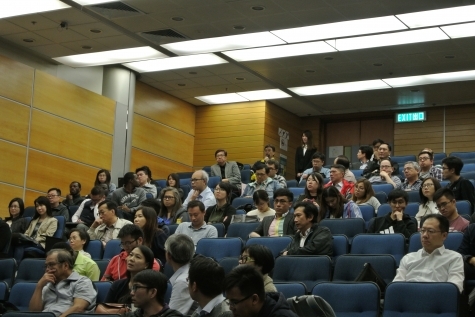 To further promote the sustainable development of PPP, the Lecture on “New Practice of Infrastructure PPP Projects” by Professor Lalit Johri of Oxford University, co-sponsored by the Department of Building and Real Estate of Hong Kong Polytechnic University and Hong Kong Institution of Public Private Partnership (IPPP) was held at the Hong Kong Polytechnic University on December 7, 2018. 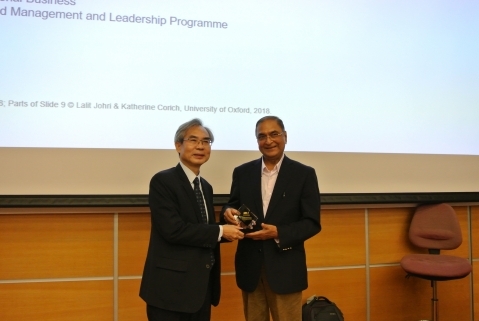 The Speaker, Prof. Lalit Johri, is the Senior Fellow in International Business and the Director of the Oxford Advanced Management and Leadership Programme at Saïd Business School, University of Oxford, and the Honorary Advisor of HK Institution of Public Private Partnerships. Professor Patrick Lam, Department of Building and Real Estate, Hong Kong Polytechnic University, and Chairman Walter Chan of IPPP delivered speeches respectively, and presented souvenirs and certificates to Professor Lalit Johri. 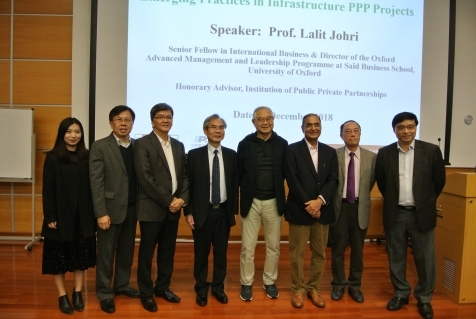 Prof. Johri, in his lecture, shared his profound insight into the evolving PPP approaches over the past decades and highlighted the internationally recognized good practices in the preparation, procurement, and management of PPPs in terms of leadership, mindset and strategy, and growing culture of excellence is the key to success. Took India’s first airport project based on PPP framework (BIAL, Bangalore International Airport) as a case example, explained how to grow culture of service excellence in a complex ecosystem, and through behavioural excellence collaboration interventions. How leadership shape the context and drivers of value creation. Mindset for PPPs, from terms of coming to the table, reframing PPPs purpose, PPP concept to contract, declining in private funding, pointed out the risk mitigation strategies such as reallocating risk and learning platforms, and the flexibility in strategies and culture as the key to project success. In the question-and-answer session, Professor Lalit Johri shared his experience and insight on the suggestions for local Hong Kong PPP culture, private confidence to public, financial returns and the impact of new technologies etc. After the Lecture, IPPP and Professor Lalit Johri had further communication and discussion. 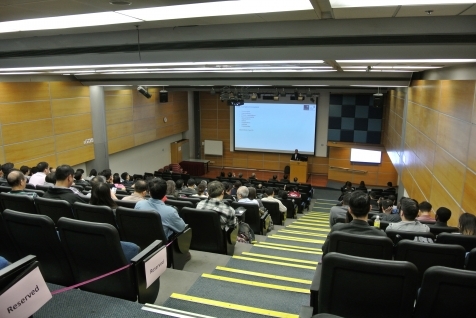 Council Members of IPPP attended the Lecture were Mr. Walter Chan (Chairman of IPPP), Mr. KM Yeung (Vice chairman) and council members Professor MW Chan, Mr. David Leung, Prof Jack Cheng, Barrister-at-law Chin Yu Liu, Ms. Moon Wei，Ms. Yabin Hou, Mr. Zhifeng Gao, etc.